Born in Stockholm, Sweden, Sten Olof Hallstr?m launched his career in 1988 by releasing 'X-10-Ded Cuts'. His path in music stretches over 20 years having remixed international acts like De La Soul, Titiyo and Rebel MC. However, it was with his remix of Robin S ?Show Me Love' in 1993 that solidified his reputation as a world class remixer with the record going on to become one of the biggest selling house records of all time. This early success stirred up much interested in the Swedish producer's studio talents and before long he found himself remixing some music's most iconic artists in Lenny Kravitz, Robbie Williams, Usher, Simple Minds, Will Smith, Texas, Sia, Patti Labelle and Debbie Harry. As well as his work with some of rock and pop's biggest names, StoneBridge also boasts an impressive back catalogue of work that includes Shawn Christopher's ?Make My Love', Big Bass' ?What You Do' and his chart slaying hits ?Put Em High' and ?Take Me Away'. On the remix front he has delivered his reputable StoneTouch quality to tracks for electronic stars such as Basement Jaxx, Robbie Rivera and Richard Vission, whilst having collaborated with artists in Crystal Waters, Chris Kaeser and Erire. His collaboration with Chris Kaeser and Anita Kelsey titled ?Rescue Me' secured the Beatport Top 10 for two weeks and was snapped up by Hed Kandi for the world. His prolific musical output has led to three studio albums. His debut long player came in 2004 with the arrival of ?Can't Get Enough', which garnered international acclaim among clubbers and the world's music press. The album went on to sell over 60.000 copies and spawned undoubtedly two of StoneBridge's biggest singles to date; ?Put ?Em High' and ?Take Me Away', which both scored UK Top 10 chart positions. Four years later StoneBridge returned to the studio to complete work on his follow up album, titled ?Music Takes Me'. Filled with the massive hit singles ?SOS', ?You Don't Know' and ?Close To Heaven' the album drew much praise from his legion of fans. In 2010 StoneBridge released what he regards as ?my musical chef d'oeuvre? with his third artist album ?The Morning After'. The title track and second single from the album ?Trip'en' saw StoneBridge maintain his form for success with a slew of DJ and radio support. Most recently StoneBridge scored a global #1 hit as co-writer of Jason Darulo's 'Don't Wanna Go Home'. Other highlights include his Grammy nominated remix of Ne-Yo's ?Closer' as well as scoring UK Top 40 hits with remixes on singles like Lily Allen's 'The Fear', Cruz 'Dynamite', Alexandra Burke 'Start Without You' and achieving #1 in the Billboard Hot Dance chart with Yoko Ono's 'Give Me Something' and Cher 'You Haven't Seen The Last of Me' back in 2010. Maximizing his years of knowledge working behind the mixing desk and dealing daily with record label execs and A&R specialists, StoneBridge took it upon himself to launch his own record label, Stoney Boy Music. Using the imprint as a way to not only compliment his busy release schedule but also support the next wave of talented producers. From the get-go the label has achieved an upward rise of success with a slew of white hot releases that have included Matt Aubrey & Holevar ft Matt Kysia ?Addicted' and CaPa ft Betim B ?Your Body', AstroShift ft Krista Richards ?Tonight', Goodluck's ?Taking It Easy' and more recently Che Jose ?The Fear', which all picked up strong positions on the Beatport charts. 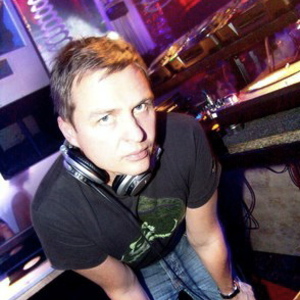 With his music regularly chalking up playlist support on radio networks such as Radio 1, Kiss FM and Capital, StoneBridge's presence on the airwaves is a familiar one. This led to StoneBridge hosting his own weekly four-hour mix show on SiriusXM broadcasting to millions every Saturday throughout North America.